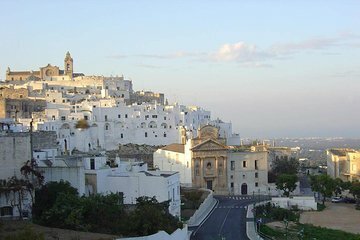 Combine stops in Polignano and Ostuni on a single private tour for just you and your party. Immerse yourself in the history and agriculture of the locally produced olive oil and taste some of the best. Amble through Polignano, where you can taste ice cream and coffee while enjoying epic coastal views. This private tour ensures personalized attention and time to move at your own pace.